to maintain proper frontal vision while riding. The position of the HUD ensures better situational riding anticipation versus a traditional lateral or behind the handlebar positioned displays. It is housed in an aluminum frame to provide superior protection. Compatible for use with Garmin HPO systems. The ergonomic remote controller on the handlebar incorporates LEDs that offer visual indicators. A built-in vibration motor offers tactile feedback to the user. The ATOM X solution integrates the battery into the down tube. 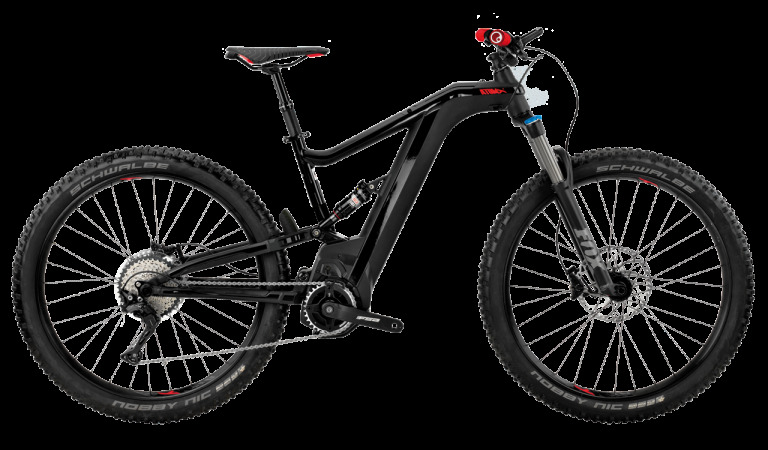 It is based on an innovative patented system which allows the user to ergonomically access the battery from the top of the bike, using an easy opening and closing lever system. The ATOM X built-in battery incorporates the new 21700 cells, which offers the highest energy capacity on the market (5 Ah). This allows the ATOM battery to achieve a total capacity of 700Wh contained in a compact down tube design, providing the potential for 90 miles of range. The external charging port is located conveniently on the upper section of the battery and is easily accessible to the user. The battery protection system incorporates an electronic lock which is activated through the use of a Smart Key Bracelet. This technology is housed within a stylish, sportive and fully waterproof rubber bracelet that includes an identification code specific to each individual bike. The ATOM X is powered by the Brose S central motor, with 15% more torque for a cadence of between 60 and 90 rpm. Developed for high performance and maximum power for use in competition. It offers great sensitivity and response on technical terrains. The Drive S motor has a triple sensor and efficiency of between 75% and 82% depending on the speed, and a maximum torque of 105 Nm. Composed of magnesium and aluminium parts with a carbon belt, the Brose S is a lightweight and quiet motor. The motor is integrated into the frame with minimal visual impact and a low center of gravity. The motor offers no resistance in «no assistance» mode. The BH/Easy Motion Lynx Split Pivot is a patented, state of the art rear suspension designed by BH Bikes. 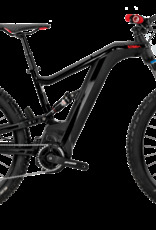 Lynx Split Pivot suspension is utilized on our World Cup Level Enduro and Cross Country traditional mountain bikes, but is also optimized for use on our electric pedal assist full suspension mountain bikes.